Hailed as one of the biggest tax reforms of the country, the Goods and Services Tax (GST) subsumes many indirect taxes which were imposed by Centre and State such as excise, VAT, and service tax. It is levied on both goods and services sold in the country. Being the Biggest tax reform in India, GST will allow the real GDP growth of the Indian economy to hit 6.75 per cent in this fiscal year with expectations of 7 to 7.5 per cent real GDP growth in 2018-19. SMEs and small taxpayers have benefitted from the GST system with a number of relaxations. 1. GST Council plays principled diplomacy & and the statesmanship shown by the members is surely a hit! 2. Technological Support to the Structure of GST law: The new GST system runs under a canopy of strong technological support and we can expect more GST services to be digitalised in the months to come. 3. GST -A boon to Micro, Small & Medium Enterprises: MSMEs are now less dependant on tax experts when compared to the earlier regime, due to a simplified return filing system in place. Rationalisation of the composition scheme and introduction of quarterly filing option for taxpayers having turnover below Rs 1.5 crores was a wise decision. 1. Delayed IGST refund has hit Exporters and caused a slowdown: Although efforts are being made by the department towards timely sanctioning of refund, yet over a few months, we can expect a slowdown in the Export sector in India. 2. Sentiments around claiming of Input Tax Credit: admission of ITC is currently being allowed on a provisional basis to the recipient of the credit. Authorities are in process of reconciliation between Different GST returns and hence, many taxpayers are receiving mismatch notices for ITC claimed as per GSTR-3B and allowed as per GSTR-2A supplier data. Development of recon. tools on the GST portal will help a buyer be cautioned before claiming any wrong ITC, thus avoiding the interest or penalties that follow. GST is a comprehensive indirect tax that was designed to bring the indirect taxation under one umbrella. More importantly, it is going to eliminate the cascading effect of tax that was evident earlier. A consultant offering services for say, Rs 50,000 and charged a service tax of 15% (Rs 50,000 * 15% = Rs 7,500). Then say, he would buy office supplies for Rs. 20,000 paying 5% as VAT (Rs 20,000 *5% = Rs 1,000). He had to pay Rs 7,500 output service tax without getting any deduction of Rs 1,000 VAT already paid on stationery. Earlier, in the VAT structure, any business with a turnover of more than Rs 5 lakh (in most states) was liable to pay VAT. Please note that this limit differed state-wise. Also, service tax was exempted for service providers with a turnover of less than Rs 10 lakh. Under GST, small businesses (with a turnover of Rs 20 to 75 lakh) can benefit as it gives an option to lower taxes by utilizing the Composition scheme. This move has brought down the tax and compliance burden on many small businesses. The entire process of GST (from registration to filing returns) is made online, and it is super simple. This has been beneficial for start-ups especially, as they do not have to run from pillar to post to get different registrations such as VAT, excise, and service tax. Under GST, however, there is just one, unified return to be filed. Therefore, the number of returns to be filed has come down. There are about 11 returns under GST, out of which 4 are basic returns which apply to all taxable persons under GST. The main GSTR-1 is manually populated and GSTR-2 and GSTR-3 will be auto-populated. Online websites (like Flipkart and Amazon) delivering to Uttar Pradesh had to file a VAT declaration and mention the registration number of the delivery truck. Tax authorities could sometimes seize goods if the documents were not produced. Again, these e-commerce brands were treated as facilitators or mediators by states like Kerala, Rajasthan, and West Bengal which did not require them to register for VAT. All these differential treatments and confusing compliances have been removed under GST. For the first time, GST has clearly mapped out the provisions applicable to the e-commerce sector and since these are applicable all over India, there should be no complication regarding the inter-state movement of goods anymore. Read a more detailed analysis of the impact of GST on e-commerce. Earlier, the logistics industry in India had to maintain multiple warehouses across states to avoid the current CST and state entry taxes on inter-state movement. These warehouses were forced to operate below their capacity, giving room to increased operating costs. Under GST, however, these restrictions on inter-state movement of goods have been lessened. As an outcome of GST, warehouse operators and e-commerce aggregators players have shown interest in setting up their warehouses at strategic locations such as Nagpur (which is the zero-mile city of India), instead of every other city on their delivery route. Reduction in unnecessary logistics costs is already increasing profits for businesses involved in the supply of goods through transportation. Visit here to read more about the impact of GST on logistics. In the pre-GST era, it was often seen that certain industries in India like construction and textile were largely unregulated and unorganized. Under GST, however, there are provisions for online compliances and payments, and for availing of input credit only when the supplier has accepted the amount. This has brought in accountability and regulation to these industries. Let us now look at disadvantages of GST. Please note that businesses need to overcome these disadvantages to run the business smoothly. Businesses have to either update their existing accounting or ERP software to GST-compliant one or buy a GST software so that they can keep their business going. But both the options lead to increased cost of software purchase and training of employees for an efficient utilization of the new billing software. 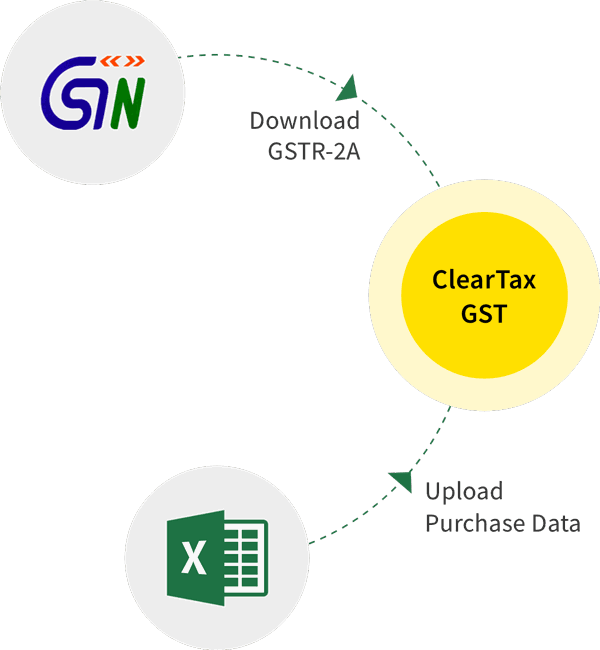 ClearTax is the first company in India to have launched a ready-to-use GST software called Cleartax GST software. The software is currently available for free for SMEs, helping them transition to GST smoothly. It has truly eased the pain of the people in so many ways. Small and medium-sized enterprises (SME) who have not yet signed for GST have to quickly grasp the nuances of the GST tax regime. They will have to issue GST-complaint invoices, be compliant to digital record-keeping, and of course, file timely returns. This means that the GST-complaint invoice issued must have mandatory details such as GSTIN, place of supply, HSN codes, and others. ClearTax has made it easier for SMEs with the ClearTax BillBook web application. This application is available for FREE until the end of September and is an easy solution to this problem. This will help every business to issue GST-compliant invoices to their customers. These same invoices can then be used for return filing through the ClearTax GST platform. As we have already established that GST is changing the way how tax is paid, businesses will now have to employ tax professionals to be GST-complaint. This will gradually increase costs for small businesses as they will have to bear the additional cost of hiring experts. Also, businesses will need to train their employees in GST compliance, further increasing their overhead expenses. As GST was implemented on the 1st of July 2017, businesses followed the old tax structure for the first 3 months (April, May, and June), and GST for the rest of the financial year. Businesses may find it hard to get adjusted to the new tax regime, and some of them are running these tax systems parallelly, resulting in confusion and compliance issues. Unlike earlier, businesses are now switching from pen and paper invoicing and filing to online return filing and making payments. This might be tough for some smaller businesses to adapt to. Cloud-based GST billing software like the ClearTax GST Billing Software is definitely an answer to this problem. 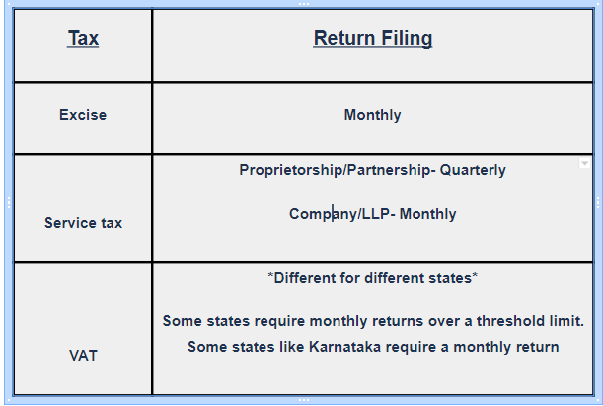 The process for return filing on ClearTax GST is very simple. Business owners need to only upload their invoices, and the software will populate the return forms automatically with the information from the invoices. Any errors in invoices will be clearly identified by the software in real-time, thus increasing efficiency and timeliness. Smaller businesses, especially in the manufacturing sector will face difficulties under GST. Earlier, only businesses whose turnover exceeded Rs 1.5 crore had to pay excise duty. But now any business whose turnover exceeds Rs 20 lakh will have to pay GST. However, SMEs with a turnover upto Rs 75 lakh can opt for the composition scheme and pay only 1% tax on turnover in lieu of GST and enjoy lesser compliances. The catch though is these businesses will then not be able to claim any input tax credit. The decision to choose between higher taxes or the composition scheme (and thereby no ITC) will be a tough one for many SMEs. Change is definitely never easy. The government is trying to smoothen the road to GST. It is important to take a leaf from global economies that have implemented GST before us, and who overcame the teething troubles to experience the advantages of having a unified tax system and easy input credits. The key is to be GST-compliant at any time. We at ClearTax have an All-in-one GST kit specially designed for CAs. Please feel free to read our articles and watch our GST tutorial videos.